Leave your links here, folks! I can’t wait to see how these turned out for everyone! Quick reminder – this is for links only. Up at midnight. We loved these! Up at midnight! We liked it! http://www.oneclevermom.blogspot.com. 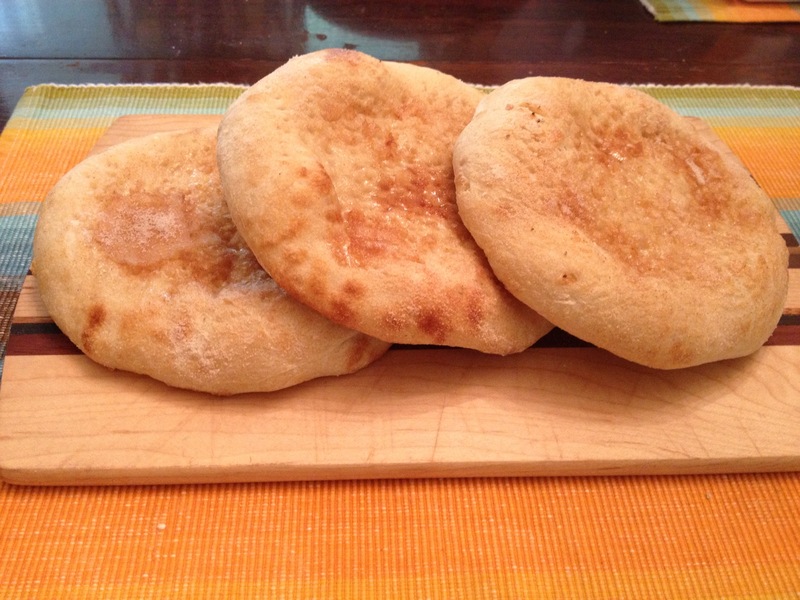 Easy, fun, tasty recipe, but my naan will not be winning any beauty contests. A little naan, a little Sleepless in Seattle chat, a lot of fun! Thanks for letting me host guys! I’m sneaking in a little early… I’m working the election in Wisconsin on Tuesday and I’m a friend of Maggie’s. I promise to wait til midnight nest time :-). Go Maggie!! This was my favorite recipe so far; the naan was amazing. My post will be up in 3 hours. What a fun bread to bake. topped with fresh herbs from the garden. Delicious! I served mine up with a side of mushroom curry! Forgot to knead and still worked! Mine didn’t turn out so great. Woops. I’m back! Last month was crazy but I promise to catch up. The Naan is awesome! We’re looking forward to the dough balls we stashed in the freezer. the naan inspired a whole indian dinner at my house! I made garlic and cilantro naan… we too had Indian food! I really liked this NAAN!! This was my first try at a flatbread other than pizza. I have to say I enjoyed it. Just ate a Naan Bread lunch. Fun to make and delicious to eat. We just ate a Naan Bread lunch. Fun to make and Delicious to eat! It was yummy, and I am very glad it was easy. I needed that today. I thought we were doing naan next week. Just barely got it up. A day late but still delicious. late because i didn’t realize the chicken had to marinate for 2 hours, so i left it to tonight for the meal!! Sorry so late, these were really good! Better late than never right? Eek. a week and two days late, but finally up!